We’ve been blessed with an abundance of big, sweet, delicious cherries in our area recently. I came home with another bag of them yesterday and then found myself wondering if I could come up with an off-the-beaten path recipe to use a few. I freely admit this is stretching the definition of bruschetta but if you really wanted, you could serve it on bread. 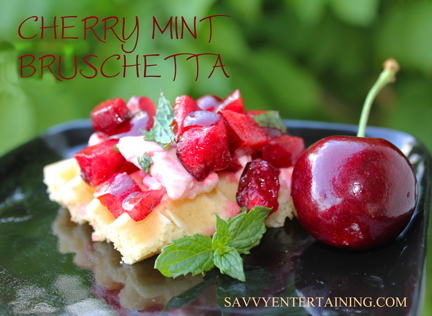 Regardless, the mixture of the sweet cherries, fresh mint and tangy cheese were a perfect combination! It’s like having a little summer party exploding in your mouth. And the best part… it took just minutes to make! 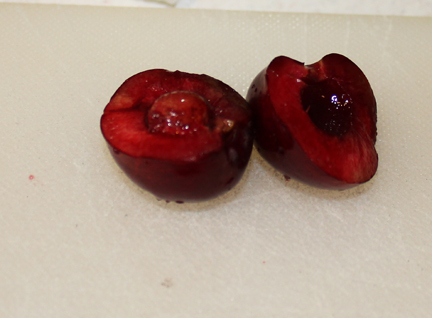 Start by pitting your cherries. Then chop them into small pieces. I halved them and cut each half into about 12 pieces. 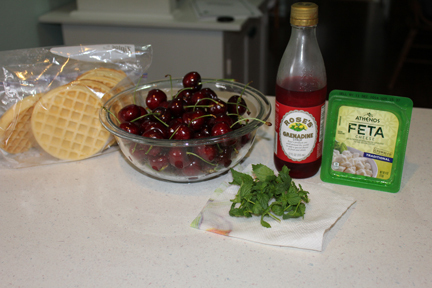 Scoop the cherries into a bowl then go to work on the mint. Chiffonade (cut) a few pieces. 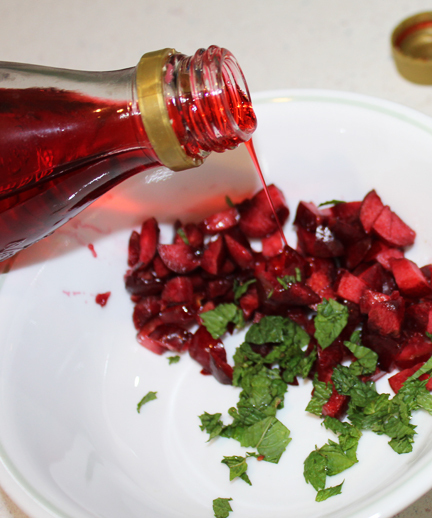 Pour grenadine syrup over the mint – cherry mixture and blend. 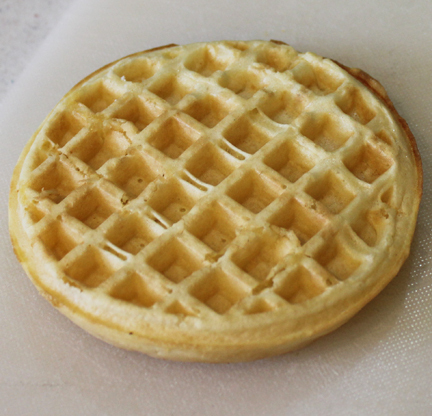 Toast a frozen waffle until it is crunchy. Top with goat cheese then add the cherry mixture. Serve and enjoy! 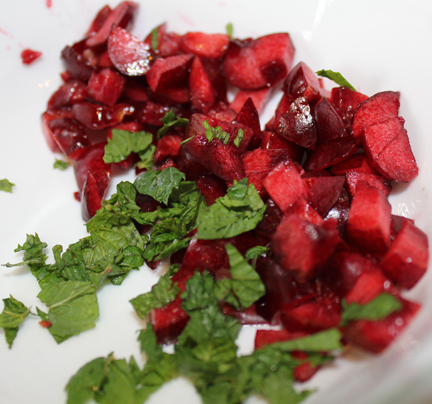 Pit and chop cherries, scoop into a bowl and mix with mint. 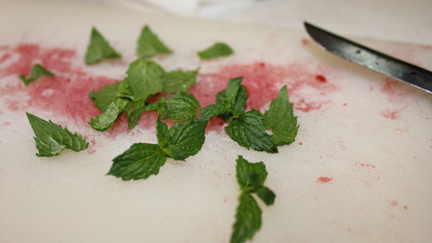 If you are using fresh mint, right off the plant, it is strong, so you can cut back the amount to 1/2 tsp. 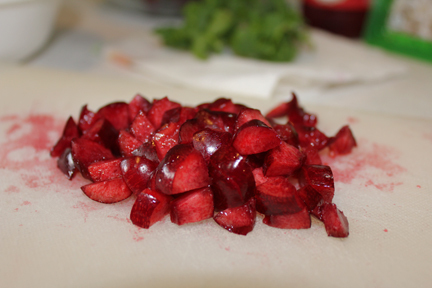 Stir in grenadine syrup and set aside. 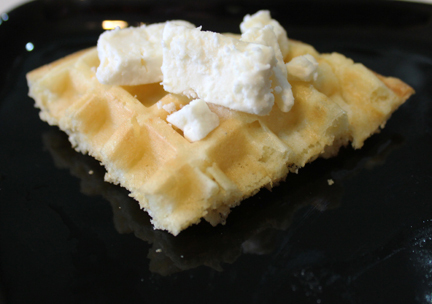 Toast the frozen waffle until it is crunchy on the outside. Cut into quarters. Top with a sprinkling of goat cheese then spoon on cherry-mint mix. 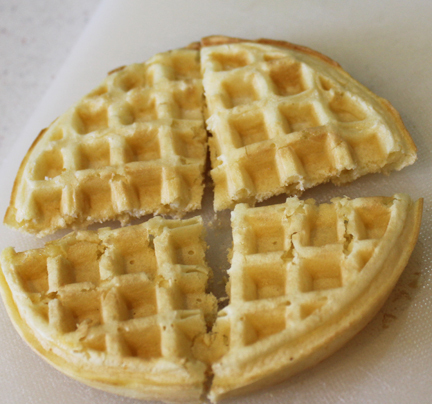 Note: You can definitely use a rustic country bread instead of the waffle for a true bruschetta, if you so desire.